One problem with buying or growing your own food is the expiration date. Unfortunately, the problem is a total of 133 billion pounds in the US alone. In 2010, this accounted for 31% of the available supply of food supply in America, costing the nation $161.6 billion in revenue. Now, there’s an app that’s hoping to reduce that number: Ratatouille. Are you leaving for holiday but you still have plenty of fresh food in your fridge? Do you have a vegetable garden and you produce more than what you eat? Did you buy too much food and you fear you’ll not be able to eat it all before it expires? In other words, do you have extra food, and you want to give it away? Ratatouille helps you find someone who’ll be happy to take your extra food. 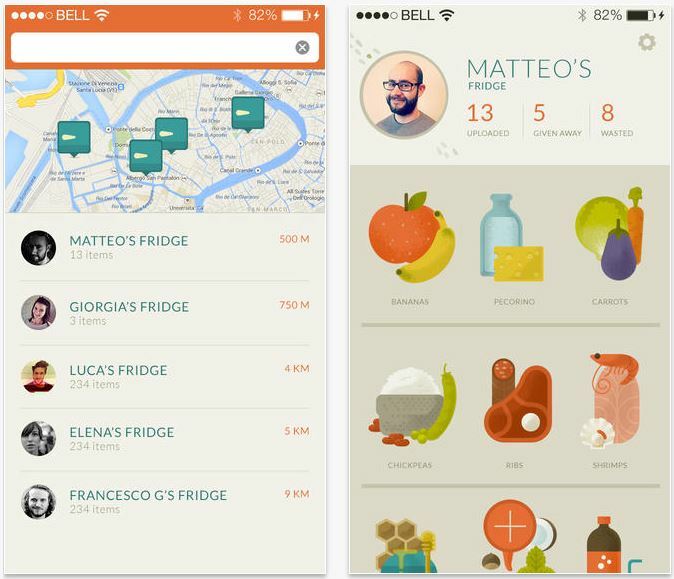 Share your fridge with others, find what you need or give away what you don’t need. No waste, no stress. When I was growing up, we had fruit trees and a fruitful vegetable garden, but no smartphones. A lot of extra tomatoes, cucumbers, and peaches went uneaten. This app would have been even useful then!